NBA 2K League Managing Director Brendan Donohue shares details about how the first season is taking shape. 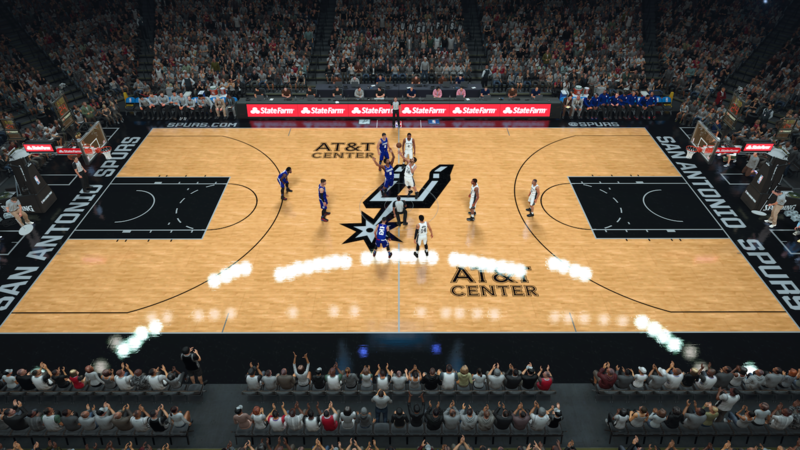 The line between eSports and traditional sports is blurring, and organizations like the National Basketball Association are looking to stay ahead of the curve. Seventeen teams from the NBA will be part of the upcoming 2K League, a competition it created in partnership with Take-Two Interactive, the developer of the popular NBA 2K series. And that league is going to have its first season next May, NBA 2K League Managing Director Brendan Donohue revealed to Engadget in a recent interview. He also said that participating NBA teams will begin drafting their eSports players in mid-March 2018, with tryouts taking place a month before that. Once each franchise selects the five people who are going to represent it, they'll be official members of their respective organizations in April. Yes, that means they will get a proper contract and sponsorship deals, just as NBA players do. Since being announced in February, the NBA 2K League (initially known as the NBA 2K eLeague) has piqued the interest of both fans of professional gaming and conventional sports. That's mostly because this is the first league where eSports squads are owned by professional sports organization such as the Cleveland Cavaliers and Golden State Warriors, two of the teams that will play in the 2K League. Traditionally, ownership of eSports teams are by firms like Cloud9, which fields players Rocket League, League of Legends and Call of Duty and other gaming tournaments. Along with the Cavs and Warriors, the rest of the teams in the first season of the 2K League include the Boston Celtics, Dallas Mavericks, Detroit Pistons, Indiana Pacers, Memphis Grizzlies, Miami Heat, Milwaukee Bucks, New York Knicks, Orlando Magic, Philadelphia 76ers, Portland Trail Blazers, Sacramento Kings, Toronto Raptors, Utah Jazz and Washington Wizards. Donohue said that aside from these, there "four or five" others that have already reached out with interest in being part of the second year. There are 30 NBA teams total, and some of the notable absences from the 2K League include the Chicago Bulls, Los Angeles Lakers and San Antonio Spurs, three of the most decorated franchises in league history. "We would expect to expand pretty quickly," he said. Until that happens, though, Donohue said the NBA is focused on ironing out a few more key details. For starters, the league and its partner, Take-Two Interactive, are still trying to determine how the tryout process will work and whether official games are going to be played on PC, PlayStation or Xbox. They've also yet to lock down where people will be able to watch the 2K League. Donohue said media rights are still being worked out, but the idea is to have studios on the East and West Coasts that broadcast or stream the games. It'll be interesting to see if the NBA strikes a deal with a platform like Twitch or one of the many TV networks trying to take eSports into the mainstream. ESPN, NBC and TBS could all make a move, though it's also worth keeping in mind that the NBA has its own TV network, NBA TV. One thing is certain: The NBA 2K League is taking shape rather quickly, especially when you consider that it was unveiled a few months ago. NBA Commissioner Adam Silver said at the 2017 All-Star Weekend in New Orleans, "Physical prowess, at least the way it's necessary on an NBA court, will no longer be necessary. It may be a different kind of physical prowess in terms of reflexes and your ability to move your thumbs very quickly, but these athletes can be any shape or size, and any age, and from anywhere." 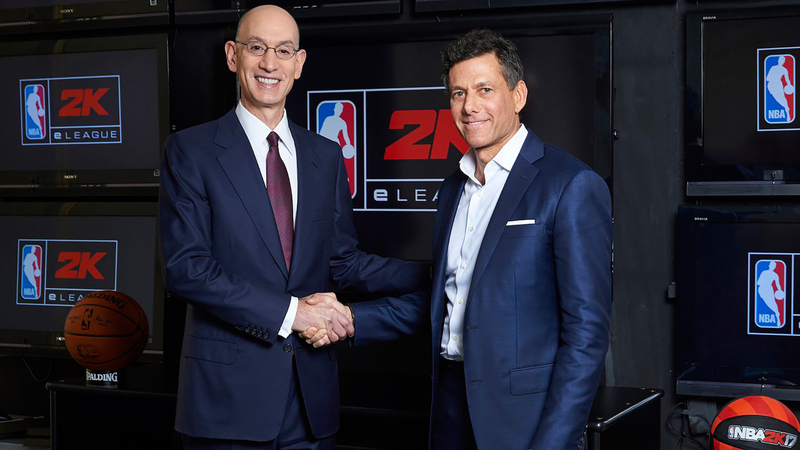 Donohue echoed that statement, noting that it's in the NBA's DNA to make its properties inclusive and that's the intention with the 2K League as well. The main restriction is that gamers have to be at least 18 years old to compete, and that'll likely disappoint some of them. But Donohue said that male or female, the only thing that will matter come tryouts will be whether you're one of the best 85 NBA 2K18 players in the world. If you think you have what it takes, then you better pick up that controller and start practicing now. Who knows, maybe you can live your dream of being the next Michael Jordan -- even if you'll have an avatar on a digital court to thank for it.